Blue Orthodontics: We need your help!! As most of you already know…. we are very active in our community to support our schools and local businesses that need help. It is time for us to reach out to ALL of you and ask for your help!!! We will be running this AMAZING drive throughout the summer. We have a colleague that owns her own catering business… It’s called “Our Kitchen To Yours”- her name is Donna Fanning. Donna works closely with the homeless every month and provides them meals that they can count on. During her last meal service she discovered that they are in DESPERATE need of backpacks and simple hygiene items. 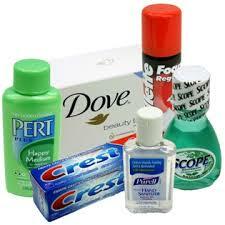 The kind of hygiene items that we take for granted every day. Many of these people do not have much but what they do have they place in backpacks. The backpacks are in short supply and would REALLY be a great benefit to them. 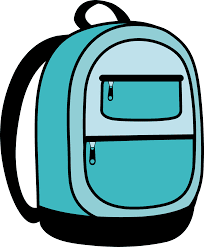 We are asking for your USED backpacks and hope that we can collect as many as possible to distribute to these people who just need someone to care and help!! Thank you for taking a moment to dig through your closets and pull out what you have to spare!! As a thank you for your GENEROUS donations we will be giving away bonus reward points which help you get the gift cards of your choice!!! ****Please bring in any of these items to either one of our office locations.